If you are interested in creating a model train layout set in the coal mines, you’ll quickly learn how complex coal mining operations can be. Fortunately, Jim Hertzog has done the necessary research and wants to share his knowledge. 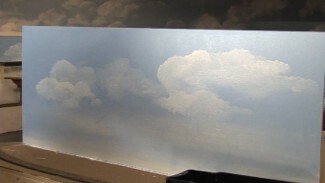 There is much to learn from his experience and dedication to the model railroad hobby. In this segment of the Reading Railroad series, Jim breaks down the operations of the colliery on his Pennsylvania Coal Region layout. Jim dives into the explanation of the operations of the colliery by demonstrating on the Henry Clay Colliery located in the Excelsior portion of the layout. Jim begins his presentation by analyzing the several structures that make up the colliery. He makes note of the three main buildings connected by conveyors. First, the dump house receives the coal from the mines and from offsite locations. Then, the coal is conveyed to the foot house where the coal is mixed and consolidated. Finally, the coal is conveyed from the foot house to the breaker building where the large chunks of coal are processed and crushed into different sizes. All three buildings accomplish important tasks of the coal mine operation. 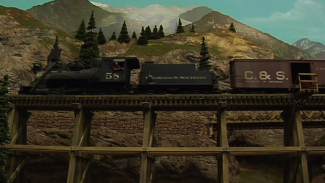 Also in this segment, Jim shares some helpful model railroading tips. First, he explains the benefit of having two staging yards stacked one over the other with a vertical separation of about eight inches. 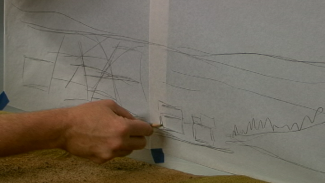 Then, he shares his method of recreating the typical concrete roads of Pennsylvania. Jim’s tips and tricks are sure to help you improve your modeling skills.